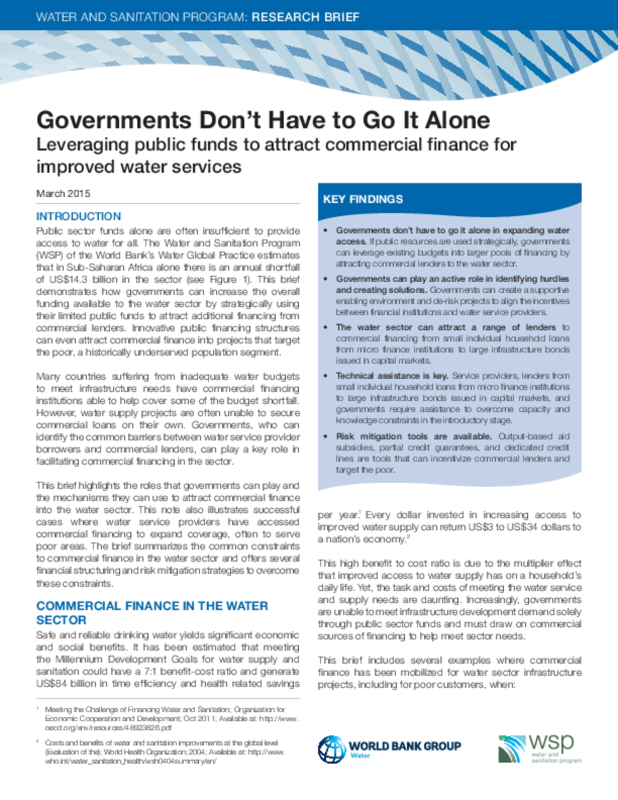 This brief highlights the roles that governments can play and the mechanisms they can use to attract commercial finance into the water sector. The brief illustrates successful cases where water service providers accessed commercial financing to expand coverage, often to serve poor areas. Common constraints to commercial finance in the water sector are summarized, as are financial structuring and risk mitigation strategies to overcome these constraints. Copyright 2015 Water and Sanitation Program.